Home / Opinion / Falcao Headed for the Bernabeu? Press reports this week indicate that Real Madrid are closing in on the signature of long-term transfer target, Radamel Falcao. The 28-year-old Columbian looks set to join his former Porto and Monaco teammate and countryman, James Rodriguez, in swapping the Stade Luis II for the Bernabeu this summer. Premier League clubs, Liverpool and Manchester City, both reportedly enquired to Monaco about the possibility of taking Falcao on loan until the end of the season with an option to make the transfer permanent. Monaco’s Russian billionaire owner, Dmitry Rybolovlev, though, reportedly informed the English suitors that the striker is in advanced talks with Real and their time would be better spent pursuing other targets. Falcao’s departure will come as a blow to Monaco just a season after the nuveau riche Ligue 1 club forked out a fee upwards of €60 million to prize him away from Atletico. Falcao enjoyed two hugely impressive years in la Liga with Real’s rivals.He netted 52 times in 68 appearances with Atleti and was a crucial driving force behind Diego Simeone’s Europa League triumph in 2012. In the 2013 Copa del Rey Final, Falcao also played a crucial part in Atlético victory over Real, ending the Los Merengues’ 14 year unbeaten streak in il derbi madrilèno. Falcao reportedly never settled in Monaco and there were always suspicions, even when the move was first announced, that the principality club was only acting as a buffer zone between the Calderon and the Bernabeu. 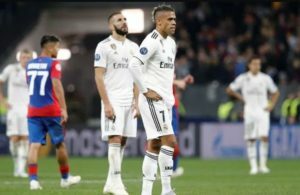 The twelve months that have passed since the striker’s move to Ligue 1 have seen tensions between the Madrid clubs cool as a result of both side’s enjoying wildly successful 2013/14 campaigns. Perez now believes that the time is right to bring Falcao to Real and the club have the cash and the player’s will to make the deal happen. The Columbian missed his country’s captivating World Cup campaign with a cruciate ligament injury but has returned to full fitness and scored against Arsenal in the Emirates Cup on his return to first team duty for Monaco last week. Falcao’s arrival could have serious repercussions for Karim Benzema’s place in the Real first XI. The French striker enjoyed perhaps his best season in Madrid since signing for Real five years ago last time out. 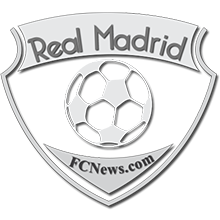 Falcao, though, is felt by Perez to be an upgrade on Benzema and Ancelotti will have a serious selection headache on his hands should the move for the Columbian come to pass.